Garage doors are a long-lasting investment. But it’s important that you do everything you can to keep them in excellent condition. Here are our top tips for how to look after your garage door. The best way for you to look after your door is to understand its condition. That means you need to take the time to check it periodically – looking over all the parts to see if there has been after wear or rust that you need to deal with. Before you get started you should let everyone know that you are checking the garage and that they need to avoid opening or closing it while you work. There’s a lot of maintenance work that you can easily carry out yourself and it will expand the lifespan of your garage door. For example, you should take the time twice a year to apply WD-40 or similar to the springs, hinges, tracks and spindles. You shouldn’t attempt to do this with the track runners. Of course, make sure that any liquids or lubricants you are going to use are suitable for the job – check the label before applying. Of course there will be some tasks that you simply don’t have the experience or expertise to carry out – and you shouldn’t attempt to. If your garage door requires repairs then you will need skilled garage door technicians with experience in how to deal with the problems that garage doors have. It’s worth remembering that even apparently small issues like a broken handle or faulty lock can compromise the security of the door, so they will need to be sorted as soon as possible. To ensure that your door stays in the best possible condition you should make sure that it stays clean. This isn’t just from an aesthetic perspective – cleaning the door can ensure that it lasts for a long time. You should get into a routine where you clean the door with a washing-up liquid solution at least once a month. Note that this may need to be more regular if you live on the coast, as you are more likely to get salt on the air, which is bad for the door. It’s also important to clean any acidic substances from the door as soon as you notice them, such as bird droppings. If you’ve had your garage door for many years and it is starting to have problems, you might find that it begins to make economic sense to upgrade to a new one. Modern garage doors are more secure and come with a range of features to suit you. 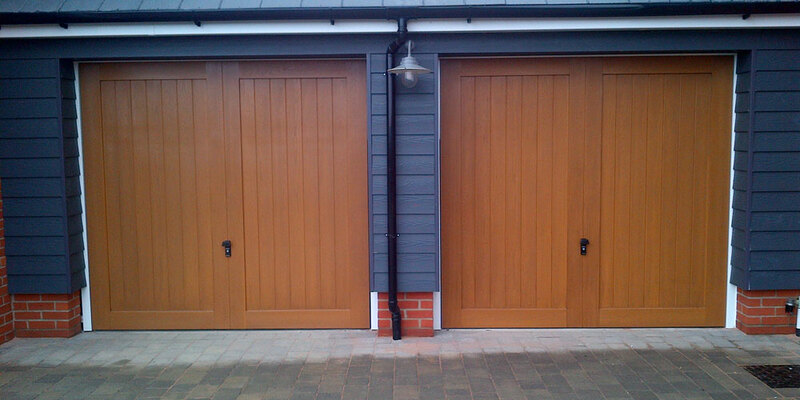 If you’re interesting in upgrading, talk to Wessex Garage Doors about what we could offer you.